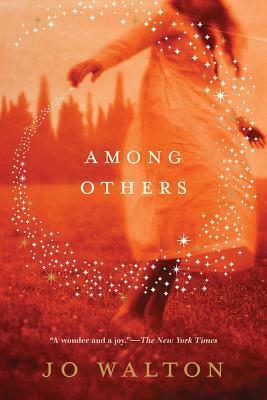 I love Among Others by Jo Walton. I’ve been telling everyone to go read it ever since it came out. If I had money, I would buy a copy for everyone I know. Therefore, I ridiculously happy that it got the Nebula and now the Hugo award. It is a somewhat unique book, I think, mainly because it is meta-speculative fiction. It’s SF about SF. You can create a real reading list while reading Among Others (and by ‘real’, I mean consisting of books that actually exist). I did so, and I know other people who did the same. I went and read a bunch of Ursula Le Guin’s books after finishing Among Others. It is also a unique SF book because it is written as a diary, and while that form of narration might not be everyone’s speed, it works very well here. Every geek and nerd can hear their own teenage voice reading Mori’s words in their head, especially if they had a somewhat unhappy teenagehood and books were what kept them sane. Everybody remembers what kind of books got them into SF, and if they happen to be the same ones Mori reads, the impact is even greater. Apart from tugging at your heartstrings, Among Others is just a very well-written book. Which brings me to my next point: Jo Walton is a really good writer. Among Others is her latest book, but she has many other fantastic books under her belt. Go read Farthing for a chilling description of a world that could have been. Or read Tooth and Claw, which is a comedy of manners. With dragons (it works perfectly, don’t worry). 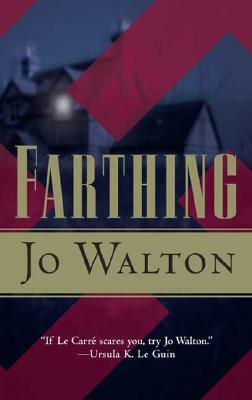 Because I love her novels so much, I’m very happy that Jo Walton also posts on Tor.com. Read her posts, and you will create a reading list that will last you for years to come. She reads and rereads an impossibly huge number of books, and writes intelligent reviews and blog posts about her reading. She also wrote a great series of posts about the Hugo awards, starting with year 1953 and ending in 2000. Warning: poking around Tor.com archives might consume hours of your life. So congratulations to Jo Walton on getting both Nebula and Hugo! Absolutely well-deserved. I now, if you’ll excuse me, I am going to go reread Among Others. I started Among Others this morning and am loving it thus far. Even in the first 30ish pages the writing feels magical and I’m drawn to Morwenna’s character; she reminds me of my teenage self. Thanks for the recommendations for other Walton books, putting Tooth and Claw on my reading list…would like to say that the theme piqued my interest but it had more to do with the word “dragons”….. So having gotten the impression that I would like a lot of the same books that you like, I went to order Among Others. And the internet told me that it wasn’t out until May 2014. Which was really confusing until I realized that they probably meant some European version. *Shakes fist. * It sounds right up my alley. So are you also into magical realism? And do you feel like recommending any other meta-y books you enjoy? Because I eat that stuff up. I like magical realism too! David Mitchell-type stuff? I love his Thousand Autumns of Jacob de Zoet. Ruth Ozeki’s A Tale For The Time Being is also really good. They are more ‘mainstream’ in that people who don’t read genre don’t shun them like a plague, but they are excellent. Meta books are hard, they can be awesome or they can be terrible. Well I can’t say if I like David Mitchell stuff yet or not as I am reading my first (Cloud Atlas) by him right this very second. I am really really into the meta. Actually I am not sure I have ever read a bad one (fingers crossed that it stays that way). I haven’t even heard of the two you mentioned. Duly noted. I go in a Borges direction with my tastes in that area. Cortazar is my favorite though. His story the Continuity of Parks is what got me totally obsessed with magical realism, and the kind of fiction that very literary blurs the lines between fiction and your reality on the other side of the book. The whole concept of making a story so perfectly show how books can deeply affect reality, can even be dangerous, just gets me every time. I mean, as far as magical realism and that sort of thing goes, I feel like Master and Margarita could qualify in its way. Oh man BOOKS BOOKS BOOKS. Master and Margarita is my favorite. 🙂 I have never read Cortazar, but seems like that would be something I really like. I’m also a big fan of Japanese literature and also Scandinavian lit of non-crime variety. Sjon’s books are really bizarre, but I like them.